Our April challenge is all about silhouettes. Believe me, I needed a dictionary to help spell that word. What is a silhouette you ask? According to Merriam-Webster a silhouette is "a likeness cut from dark material and mounted on a light background or one sketched in outline and solidly colored in." All of our wonderful creations this month will include something "solidly colored in against a lighter background." To help us with this challenge we have a wonderful sponsor who has created a number of silhouette images - Carolines. I'm Caroline of Carolines Creative Stamps and we are based in Liverpool, UK, just down the road from Penny Lane! 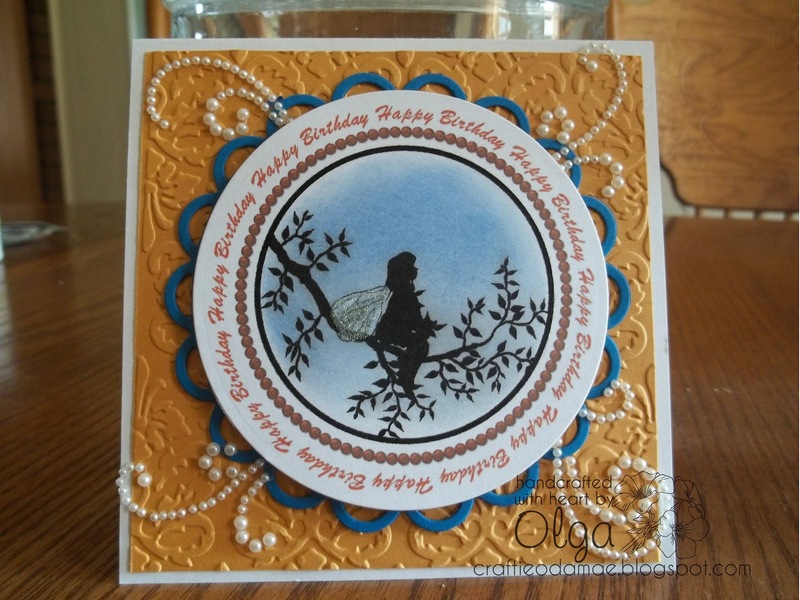 I have been rubber stamping for nearly 25 years and designing stamps for 22 of them! A few years ago I started changing some of my designs to digital format. After working so long in black and white it's wonderful to be designing in colour. 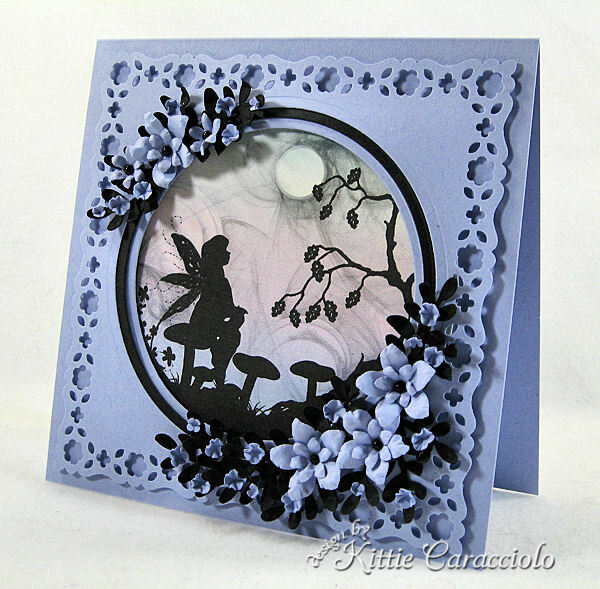 My preferred crafting area is greeting's cards but the designs can be used in scrapbooking as well. I am currently waiting for a new web site and in the meantime my designs, both rubber and digital, are available from my blog. This month's challenge is 'Silhouettes' and the design team has created their designs from the digikits Silhouettes 1, 2 or 3. The winner will receive a £15 to spend in from my site...either rubber or digital. Ok, so now it is your turn to enter a silhouette project. You may use any scenic image to create your project. 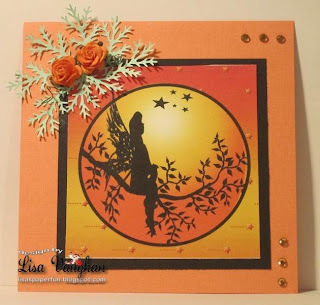 Stampscapes, Sutter, Lavinia and the others all have images in silhouette. Please check out Carolines images too and let her know how much you like them. You have until 6:00 PM May 4th to enter your silhouette project. This month is a little wonky ending in the middle of the week so I am extending the entry dates so that everything lines up with Sunday. Please only enter new projects (no backlinking) and don't forget you may enter up to 3 times (gives you more chances to win). 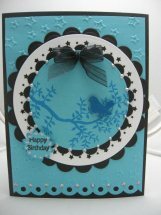 Oh wow, ladies, your cards are brilliant..it's always nice to see what other create with one's designs...fabulous! Wow!! The Design Team has created gorgeous examples of this months challenge requirements! Kittie..Stunning!! Your punches and flowers really bring the image to life! Olga..Another gorgeous example!! Love the contrast in colours and all of your embellishments! 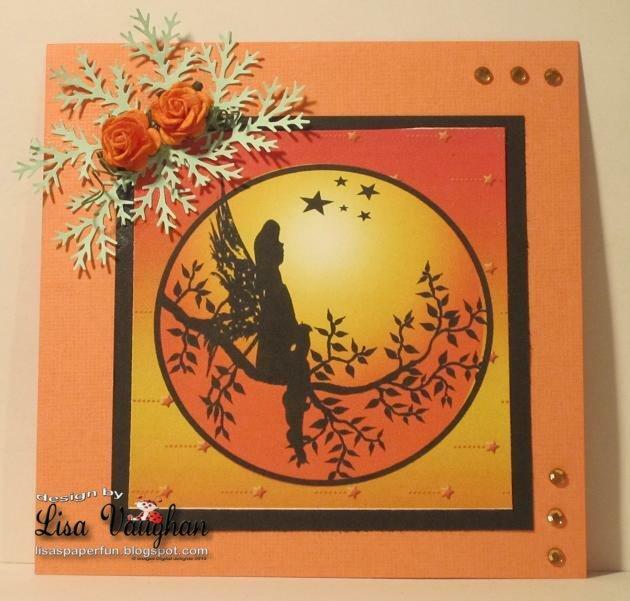 Sandy..Love the colours and background papers you chose! Fab idea to pop up the center! Nancy.. Great contrast with the black bringing the image to the foreground! What a beautiful card! Anja..Great idea using a bird on the branch! Love the crisp colours. Lia.. Beautiful! I love the papers you chose and your flowers are gorgeous! Me.. I cant even compete with the entries... Time to go back downstairs and come up with something different! Oh my, these are all so gorgeous!! Amazing work by the DT this month! and so inspiring, ah what marvellous images to work with and you did them so beautifully everyone. Great projects by the DT. Thanks for the great challenge this month. These are all so beautiful. 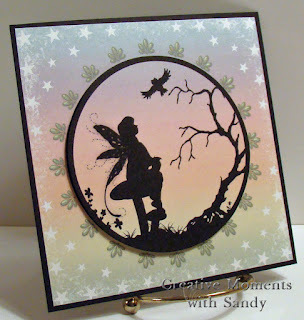 Love the silhouette design that was used and all the wonderful creation's made from it. Thank you for this challenge. There are wonderful examples from the design team. I'm a new follower of your wodnerful blog. 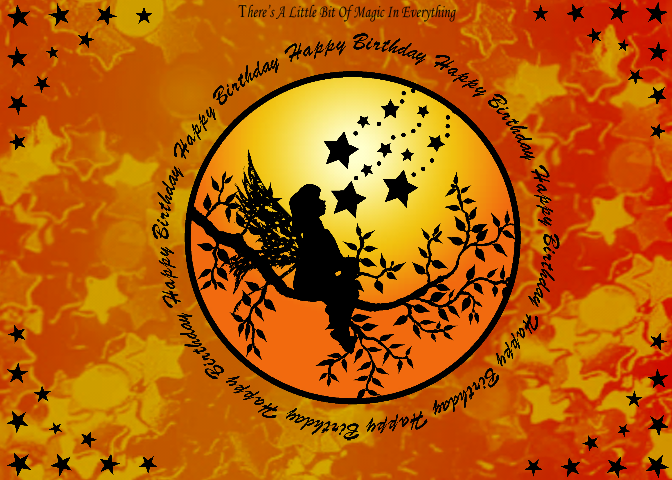 Entered a card that I'm not sure if it meets the silhouette rqmt completely so you can let me know if it does or not. beautiful cards have you all made. 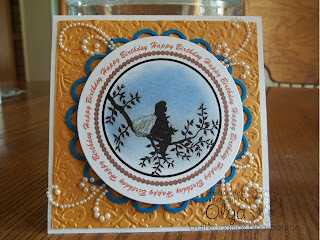 I play again with these challenge, it is so nice to see what can be create with stamps/digi. again I draw my own image. 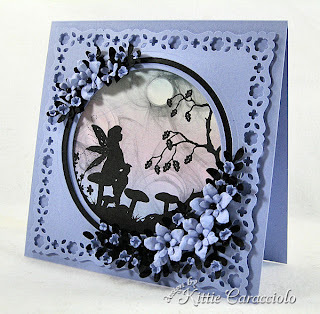 Such gorgeous DT cards and a great idea for a challenge! I enjoyed making my card a lot. Hope to do another one. Thank you for the inspiration! Fabulous DT samples! Thank you~! Gorgeous DT samples as inspiration, and lots of lovely entries too. FINALLY! I have been wanting to play in this challenge site since you started! Loved the samples this week, and had a blast playing! Thank you! Beautiful cards everyone, I could just sit and stare at each one for hours. Beautiful each and every one. WOW!!! I just stumbled upon your challenge blog and actually see some familiar faces! I made this creation/photographed/posted in less then 30 minutes ... shew! Was afraid I was going to miss the deadline! Thanks for awesome fun ... I now have you bookmarked and will be back for MORE FUN!!! Thanks to the DT for AWESOME inspiration!